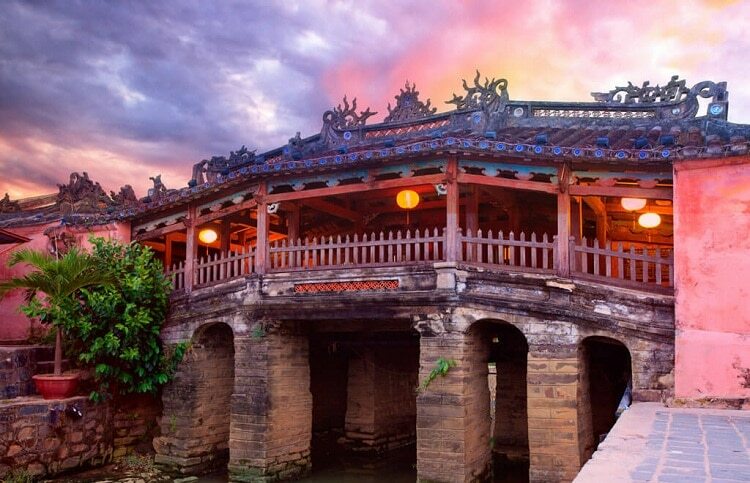 Bridge Pagoda (Chùa Cầu), or known as Japanese Covered Bridge, is a famous symbol of Hoi An Ancient Town. If you visit Hoi An (Hội An) without a check-in at Bridge Pagoda, you seem not to be at Hoi An. 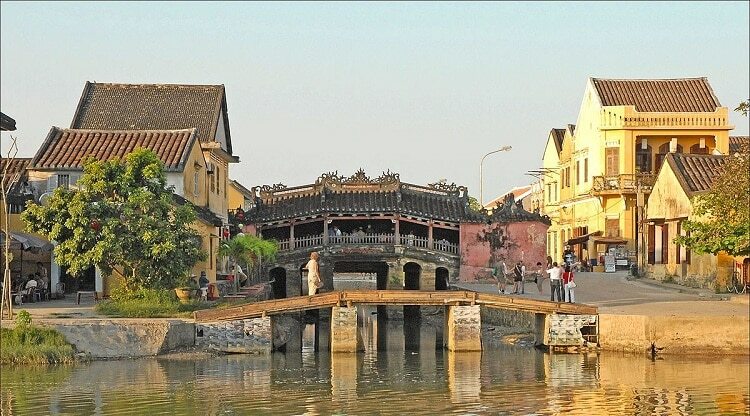 To some foreign tourists, Bridge Pagoda is a must-see place whenever reaching Hoi An. To the local community, the Bridge Pagoda in Hoi An has been seen as the soul, the symbol, the pride for centuries. 1. What’s About Bridge Pagoda In Hoi An? Bridge Pagoda or Chua Cau silently stands over a little creek in the heart of Hoi An. Because of being built by Japanese early in 17th Century, then it is called as Japanese Covered Bridge. Originally, the bridge is said to be constructed to represent a sword stabbing in the back of a monster named Namazu to prevent it from causing earthquakes and other natural disasters. By legend, the monster’s head is in India, its body is in Vietnam, and its tail is located in Japan. Whenever Namazu stirs itself, disasters are formed; in 1953, a new pagoda was also built. Since then people called it as Chua Cau. compartments with the combination of Vietnamese, Japanese, and Chinese elaborating carvings. In addition to the function of regulating traffic, a pagoda is a place where the religious belief of local people is gathered. It worships the god who protects the country and gives out happiness, joy to humans, which expresses the wish for good things. In 1990, Chua Cau was recognized as National historical-cultural relics. Chua Cau is a well-known place to anyone whenever talking about Hoi An Ancient Town. It is not contingent that Chua Cau is presented on Vietnamese currency. If you are having the money of 20,000VND, you can easily recognize Chua Cau on it. That partly affirms the importance and popularity of Chua Cau to Vietnam in particular and international friends in general. 2. How To Go To Bridge Pagoda In Hoi An? Wandering throughout Hoi An Ancient Town, you can find Chua Cau when reaching Nguyen Thi Minh Khai street and Tran Phu street. Going along the road, you can find a small local booth to buy a cup of lemongrass kumquat tea, a symbolic drink of Hoi An. Walking alongside Hoai River, you can see Chua Cau Pagoda. This corner is always the favorite shot of any photographer. Some people try duplicating the scene appearing on the 20,000VND. Some act gratefully in traditional Vietnamese custom “Ao Dai” that you can borrow at any local shop with reasonable prices. You can freely choose your style and wear it on. Wearing Ao Dai is always a good idea for any foreign tourists when visiting Hoi An. Why don’t you save your best memory at Chua Cau (Bridge Pagoda in Hoi An)? Another thing that you should never forget to do when going here is to enter the pagoda and make a wish for you, your family, and friends. It is said that going around a pagoda without entering and wishing is a should-not-do thing. So, if you come to Hoi An, your bucket list should contain this experience, surely. There is a notice for foreign tourists that you should wear long clothes to visit the Pagoda. It belongs to the culture that people need to look polite when visiting the respective places. 3. Where To Stay And Eat At Bridge Pagoda In Hoi An? There are many hotels near Chua Cau for you to choose from. But the most convenient options are Tribee Kinh Hostel which is located on Ba Trieu Street and near the temple. Another suggestion is Vinh Hung Heritage Hotel which is placed in Tran Phu Street and its price is low and quite appropriate with everyone. 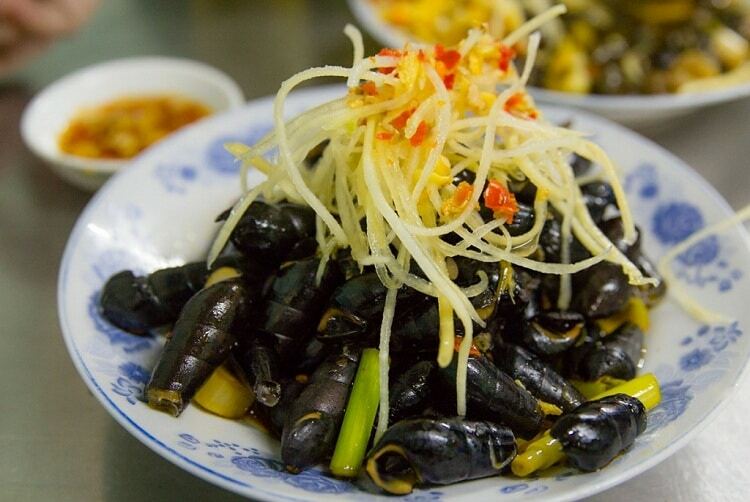 Coming to Hoi An Ancient Town and visiting Chua Cau, tourists should taste the delicious dishes of Hoi An. Some specialties are Cao Lau (Cao Lầu), Quang Noodle ( Mỳ Quảng), Hoanh Thanh (Hoành Thánh), Oc Hut (Ốc Hút), Banh Vac (Bánh Vạc). 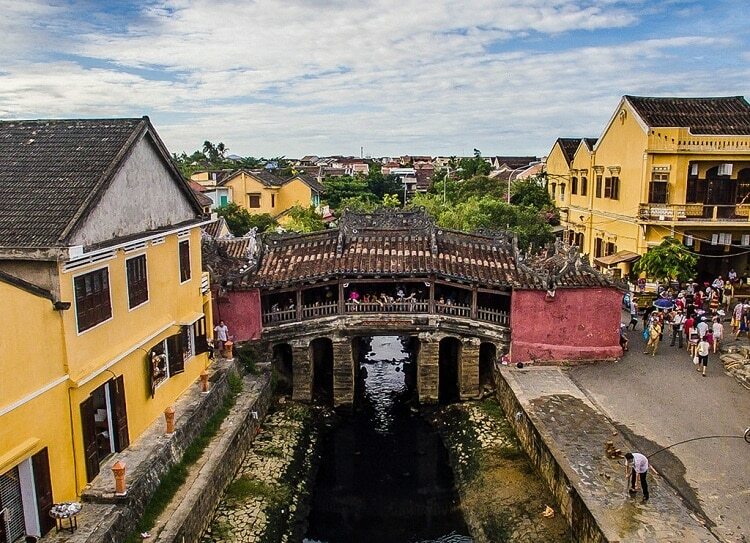 Although there are many things to enjoy in Hoi An, tourists always leave the Ancient Town with a nice memory of Bridge Pagoda, in which you can have many things to see and discover. Let’s share your enjoyable moments in Hoi An with us. For more information about other places to visit in Vietnam, visit our Vina page.